A new night of House and Techno for the dance music enthusiasts at one of the premier nightclubs in Atlanta. 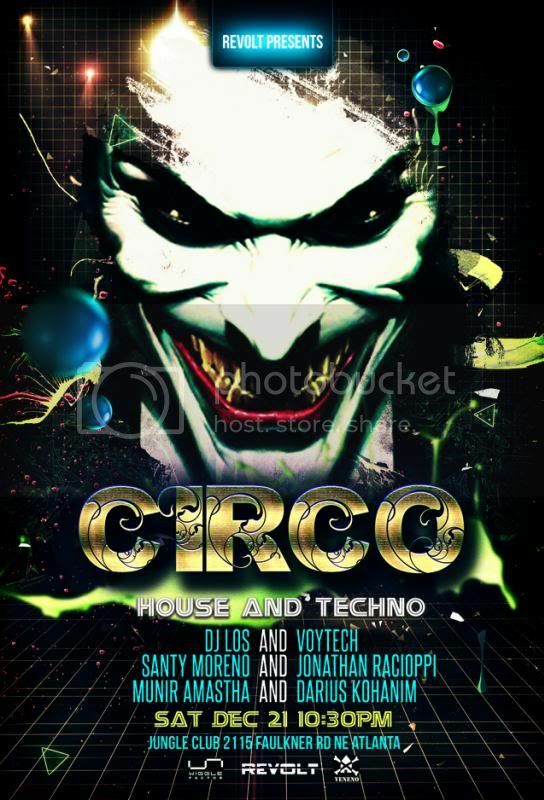 The inaugural party of CIRCO features DJs from Wiggle Factor, Veneno & Revolt Records teamed up together to bring you an exciting experience of music & mastery behind the controls. With a wealth of time spent behind the decks playing at countless parties, these guys know how to show you a good time on the dance floor.